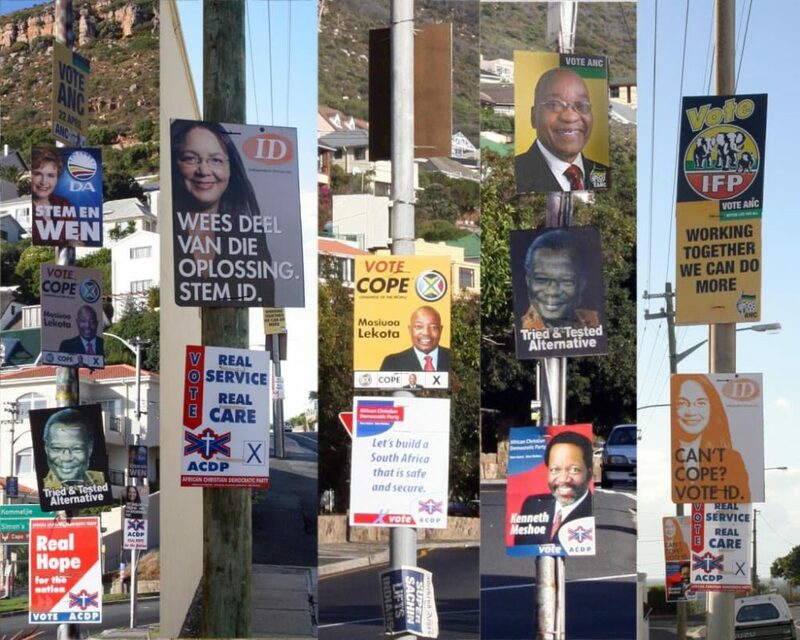 South Africa has its provincial and national elections today. It is a public holiday and I am off to stand in the long lines to cast my vote. It is something I always feel is taken for granted – the right to vote is one we should be honoured and thankful for. It was not that long ago that women were not allowed to vote and in many countries men and women do not even have this opportunity. Vote. This entry was posted in Blog and tagged 2009, ACDP, ANC poster, COPE, DA, IFP poster, Posters, South Africa, South Africa Voting, Voting, Voting Posters, women. I hope the right man or woman wins!Here in Germany we have in September the German federal election too.Than we must vote a new (or old)Chancellor of Germany .Now is it still Angela Merkel a woman.ItÂ´s similar who you voted our situation for the normal peoples will be the same like before.More taxes,higher prices and the daily fight for your working place.Here in Germany …. Love your collection of street pole posters. I have the purple dot on the thumbnail that shows I made my mark! Steffi – I hope your elections go well in September.